Cloud native DevOps is not some trend or methodology that we all need to embrace and embody before it overtakes us like a tropical storm. DevOps is about people and how they work together. Cloud native technologies change how people work. It is therefore not only pertinent but important that we observe cloud native DevOps as a phenomenon. At a June 2016 Public Sector Summit conference, Amazon Web Services solutions architect Alex Corley introduced the idea of cloud native DevOps by tying it to what he described as the philosophy of continuous business improvement. Corley explained that concept as inherently redundant, saying no business is ever truly done improving itself. The concept’s cloud nativity becomes more practical for businesses, the AWS developer continued, once it has been freed from the constraints of traditional, on-premises systems management. Theoretically, much of these “undifferentiated heavy lifting” work processes may be automated, in order to expedite them. But cloud native development, he asserted, advances the notion that they may be eliminated altogether. That elimination would, in turn, radically transform the requirements of DevOps, by way of changing the definitions of what Dev teams do and what Ops teams do. Corley’s manifestation of cloud native DevOps would arguably only apply to the cloud native portion of an organization’s IT arsenal, although that arsenal would incorporate its serverless functions as well. In a conversation with The New Stack, DXC Technology’s Chief Technology Officer for application services, JP Morgenthal, described cloud native DevOps and serverless delivery as being bundled together. When someone refers to one, he suggested, she includes the other. Morgenthal perceives the act of maintaining on-premises infrastructure as one class of “undifferentiated heavy lifting,” and there’s a good chance that Amazon’s Corley would agree. Corley’s use of the phrase harkens back to 2006, when Amazon CEO Jeff Bezos first defended his company’s concept of cloud computing at an O’Reilly conference. At the time, Bezos estimated that the amount of work expended by organizations in actually executing the core vision of their ideas, was about 30 percent. 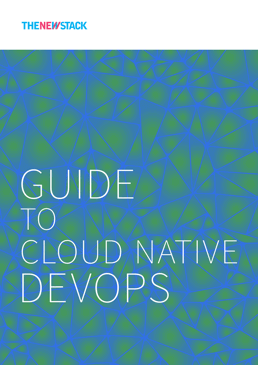 Viewed from this perspective, one could argue that, for a DevOps platform to be completely effective, it actually must be cloud native — it should be constructed and located in an environment that is, from the outset, accessible to all yet set apart from any one department’s silo or exclusive oversight. And for that reason, Frost argued, the whole thing may be a waste of time. That list sounds dangerously close to a recipe for what some would call “undifferentiated heavy lifting.” And this is at the heart of Capgemini’s counter-argument: Software development is evolving toward the ability to produce a function or service based almost solely upon intent, without regard to the requirements of its infrastructure. It’s a methodology that is, by design, more Dev and less Ops. Indeed, it may be the separation of underlying functions which makes the serverless approach, and to some extent the microservices approach, valuable and viable. Why bother, the counter-argument asks, investing in the time and effort needed to integrate tasks that are no longer relevant? One of the dangers of the microservices approach, if we take this train of thought to its extreme, is that it could frame the entire scenario of an enterprise’s software from the exclusive perspective of the developer. Since cloud native platforms are marketed towards developers’ interests, the result is that, at the minimum, Ops professionals could feel left out. And at the maximum, they could be left out. “The beautiful thing about being a software developer is, everything that I’m reaching out towards is controllable by code in some form or fashion,” said CloudBees Jenkins Community Evangelist R. Tyler Croy, in an interview with The New Stack. “From the operations standpoint, that’s not the case. Developers automating everything is not the point of DevOps. And if a cloud native platform promotes automation as code, then it could feasibly enable developers to automate certain operator roles completely out of the picture. The entirety of an organization’s business model must encompass not just the automation of everyday business functions, believes CloudBees’ Croy, but also the creation and nurturing of ideas generated by the human beings performing those functions. Any cloud native DevOps platform would have to include idea creation, if indeed its intention is for that idea to take root in the cloud. Thus it would be the ability for people to devise ideas and to innovate that could not only preserve their jobs but bring them into a closer-knit loop. What business process engineers through history either fail to understand or have chosen to avoid mentioning, remarked Croy, is the reality that many ideas are bad. Relatively few actually mature all the way to the deployment phase. Yet this is what business methodologies such as Agile do try to take into account: Good products and services often develop from under the carcasses of bad ideas. It’s only through the implementation process that many ideas may be called out as bad. For a DevOps platform to deliver on one of its practitioners’ stated goals of encouraging innovation, he went on, it must provide support for failure. That’s not to say it should prune failed processes from the tree of development, but rather suspend the development of processes that are currently failing, until such time as circumstances may have changed, and one or more bad ideas may converge into, or otherwise catalyze, one good one. But by “platform” in this context, are we referring to a single application, like the business process management (BPM) environments of ancient times (the 1990s)? Or a multiplicity of tools interfacing through plug-ins and APIs — a kind of, to coin a phrase, stack? If “the cloud” has evolved into a virtual staging ground for digital functionality, encompassing all infrastructure that raises virtualization to that same level, then for DevOps to be “cloud native” may already be as meaningful as for a society to be “world-native.” In just the time it took us to examine the idea, it already became archaic. Of course, that’s exactly the outcome that Capgemini’s Les Frost warned would happen. 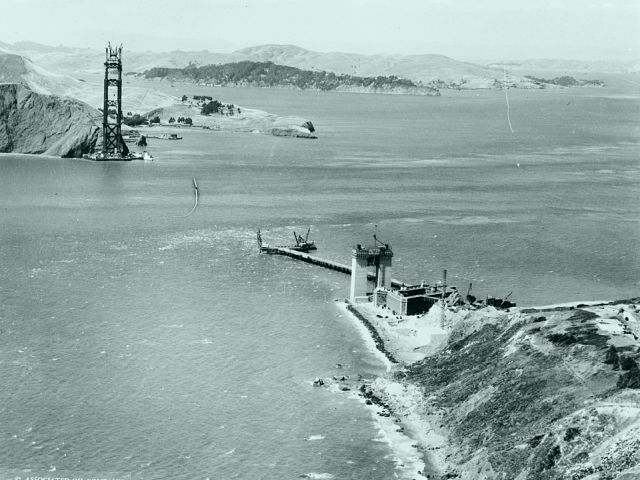 Title image of the first weeks of construction of the Golden Gate Bridge in San Francisco, circa 1934, from the U.S. Library of Congress, in the public domain.